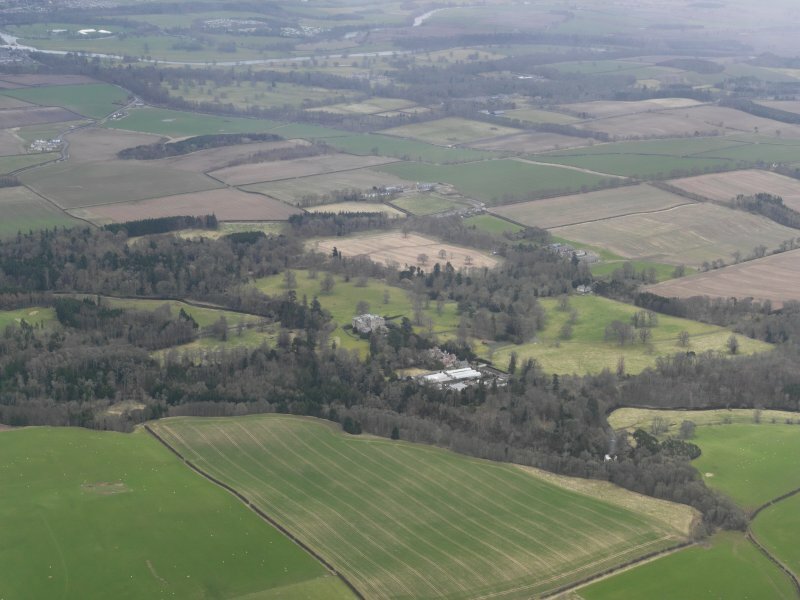 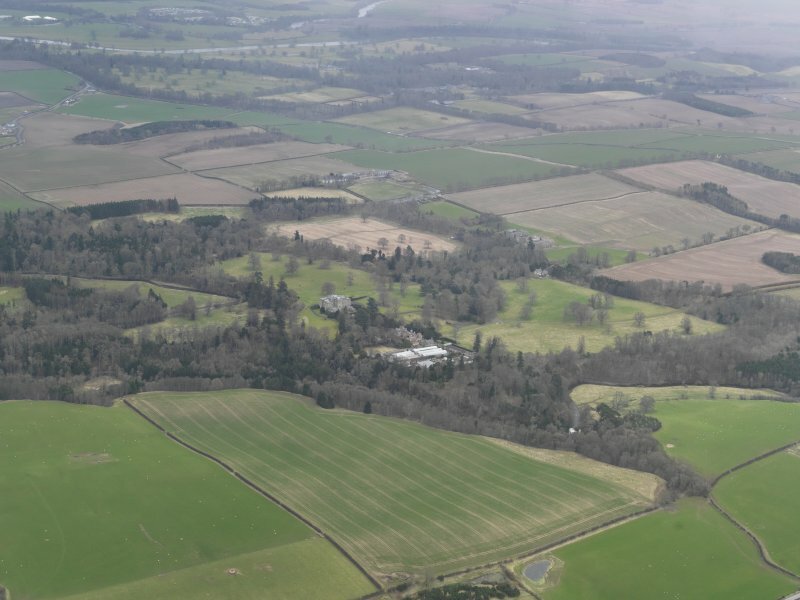 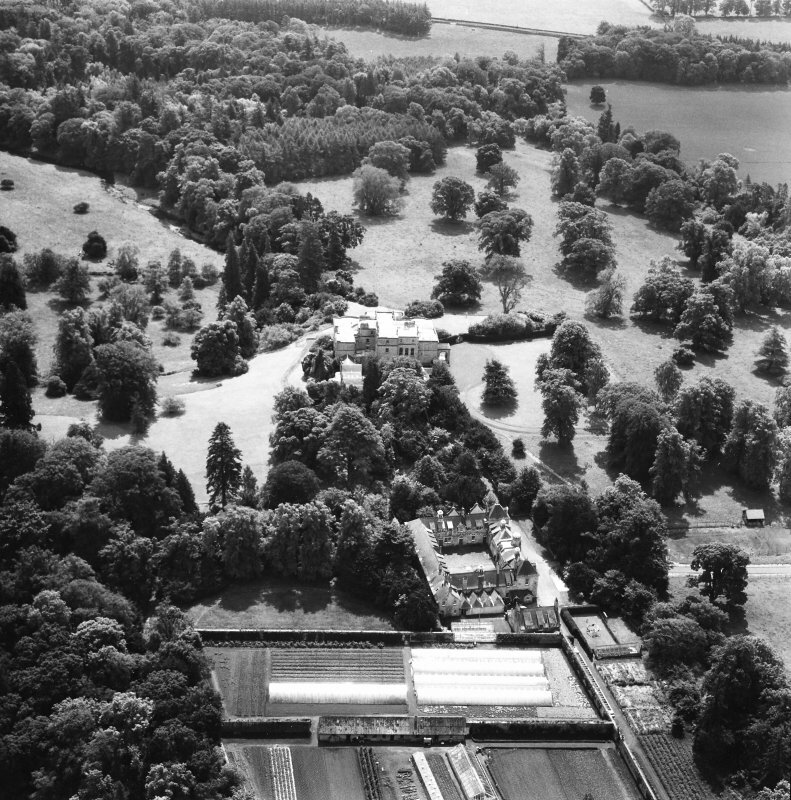 Oblique aerial view centred on the polices, taken from the N.
Oblique aerial view centred on the country house with the stables adjacent, taken from the NW. 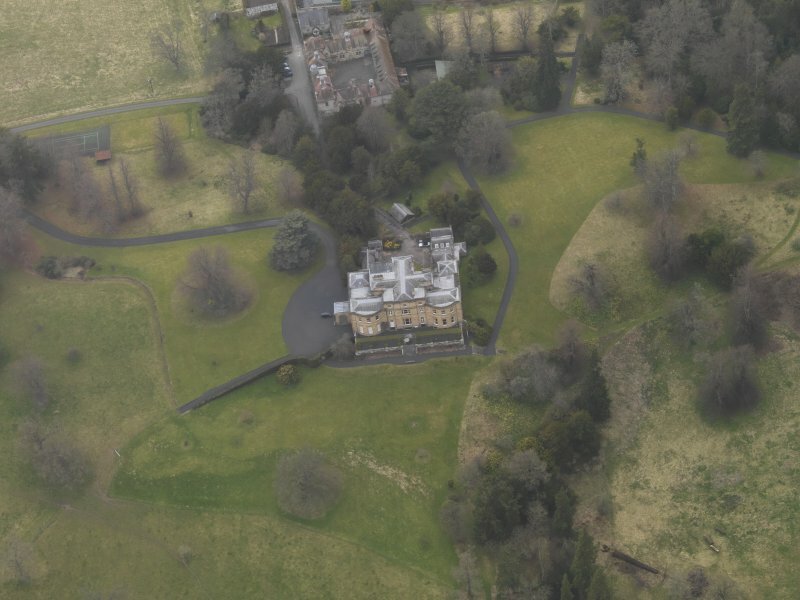 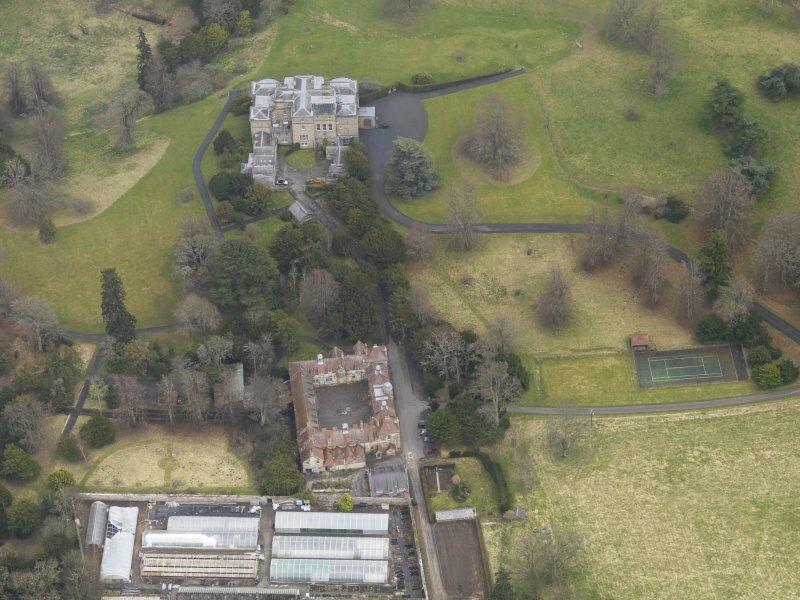 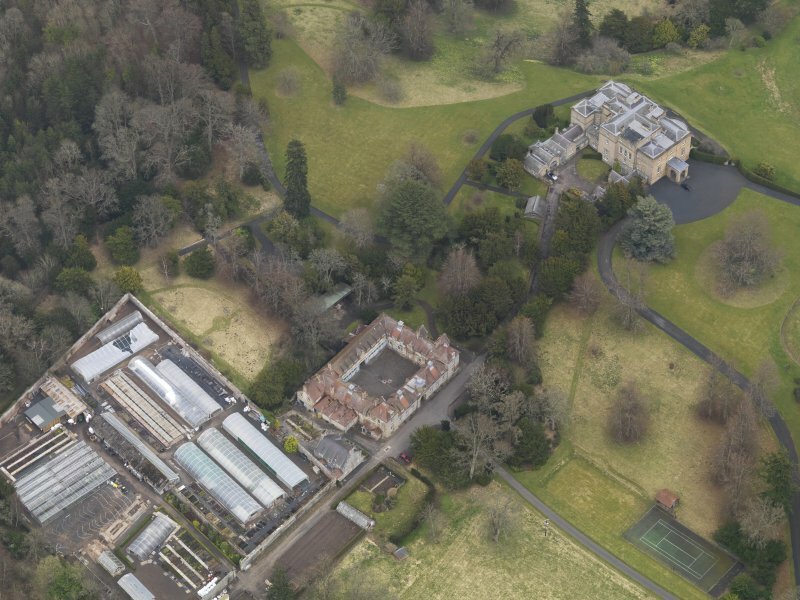 Oblique aerial view centred on the country house with the stables and walled garden adjacent, taken from the N.
Oblique aerial view centred on the country house with the stables and walled garden adjacent, taken from the NW. 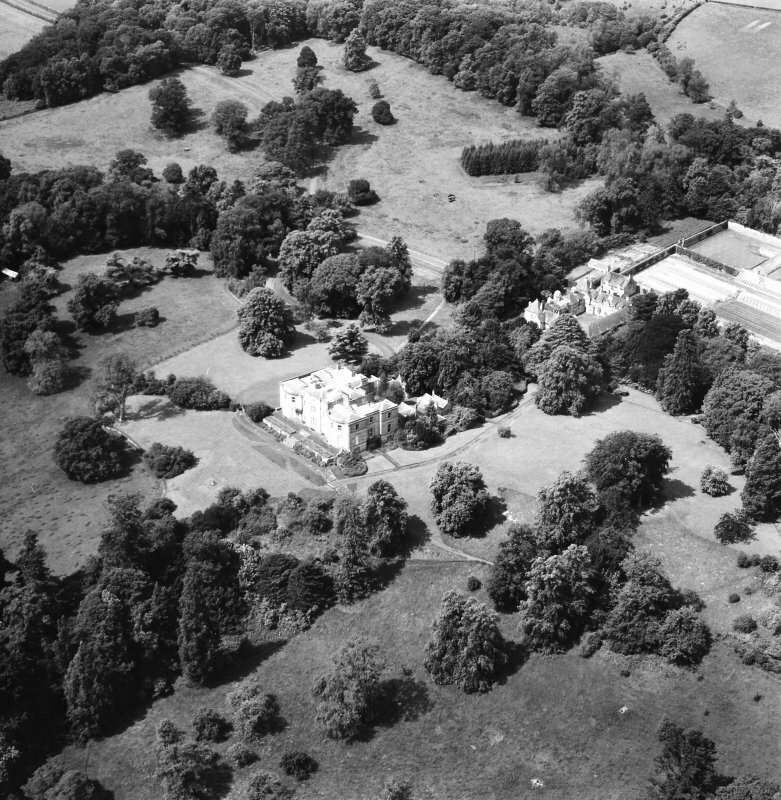 Between 1817 and 1820 the architect Sir Robert Smirke made considerable alterations to the eighteenth-century house of Newton Don, for which Robert Adam had prepared the original plans. 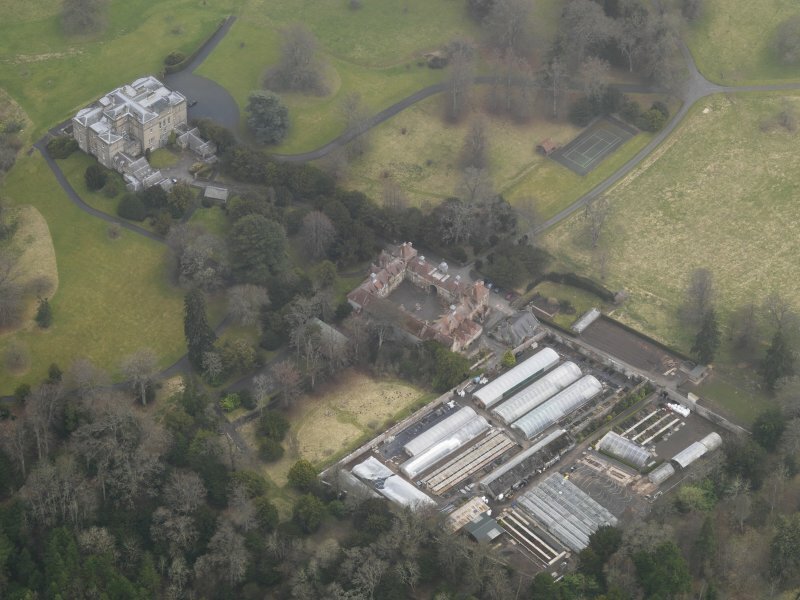 The work was carried out for Sir Alexander Don, owner of the estate from 1815. 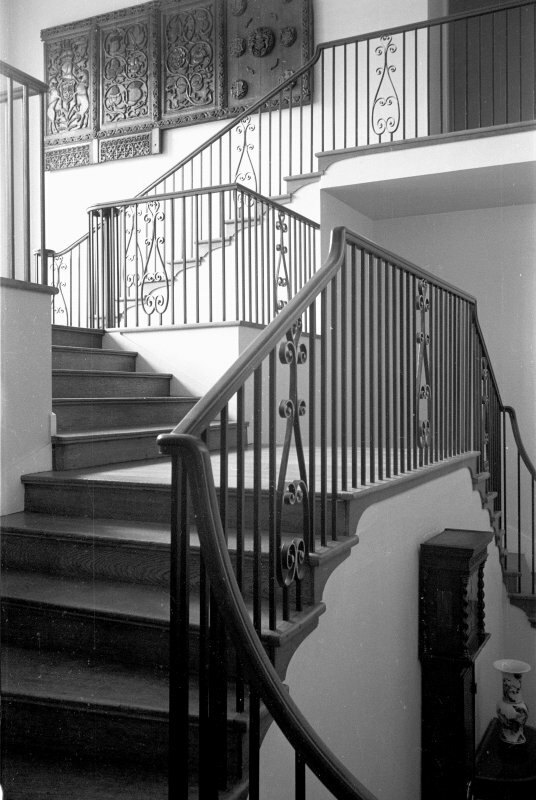 The three-storeyed house was designed in a neoclassical style, with few external decorations or embellishments. 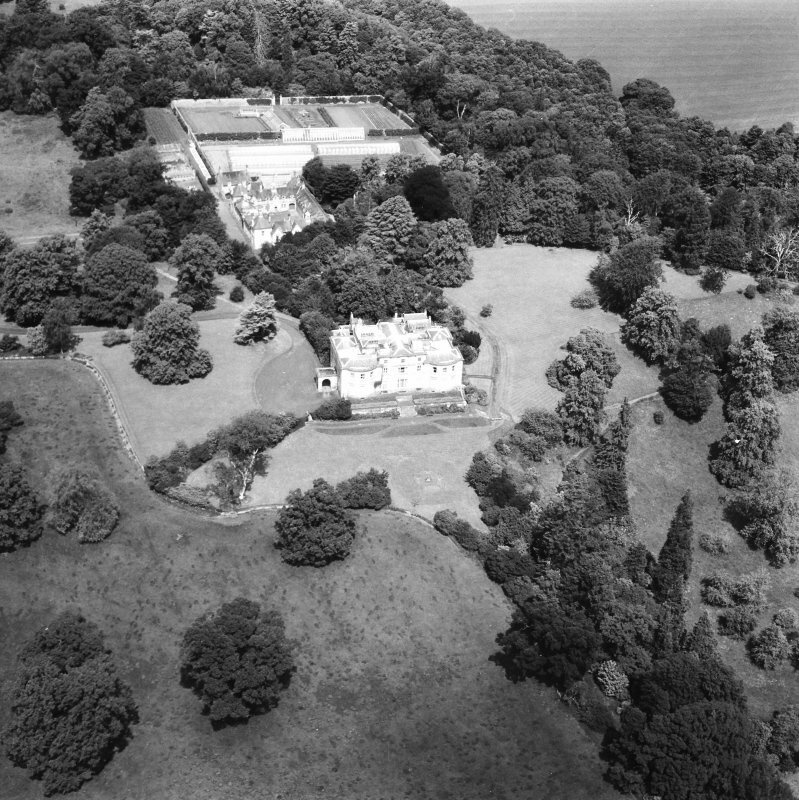 The house, which overlooks the Eden Water, stands in an early nineteenth-century designed landscape, which includes large swathes of lawn, and areas of planned woodland. 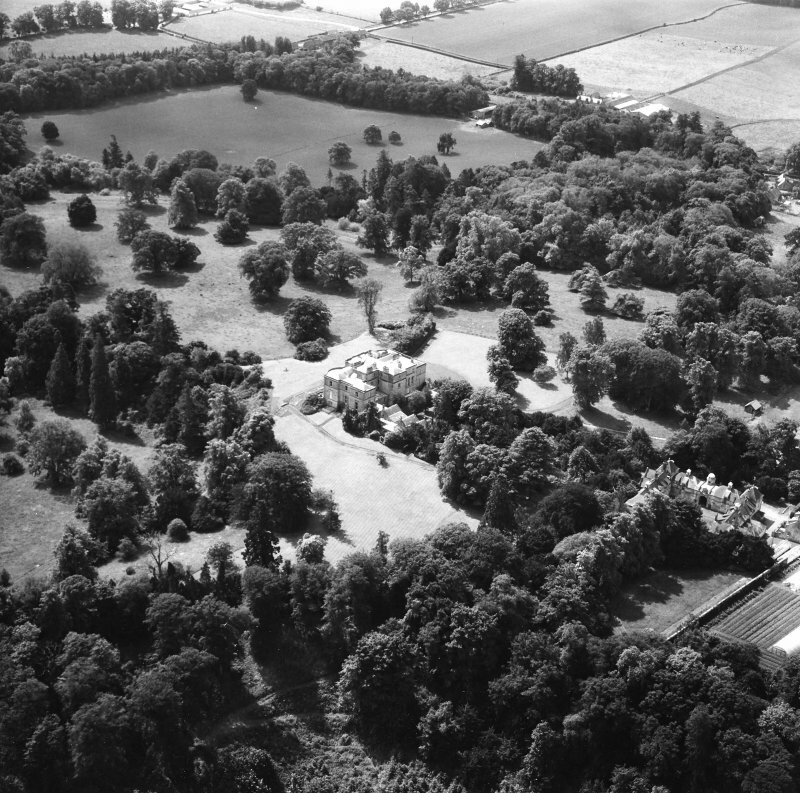 NT 7090 3720. 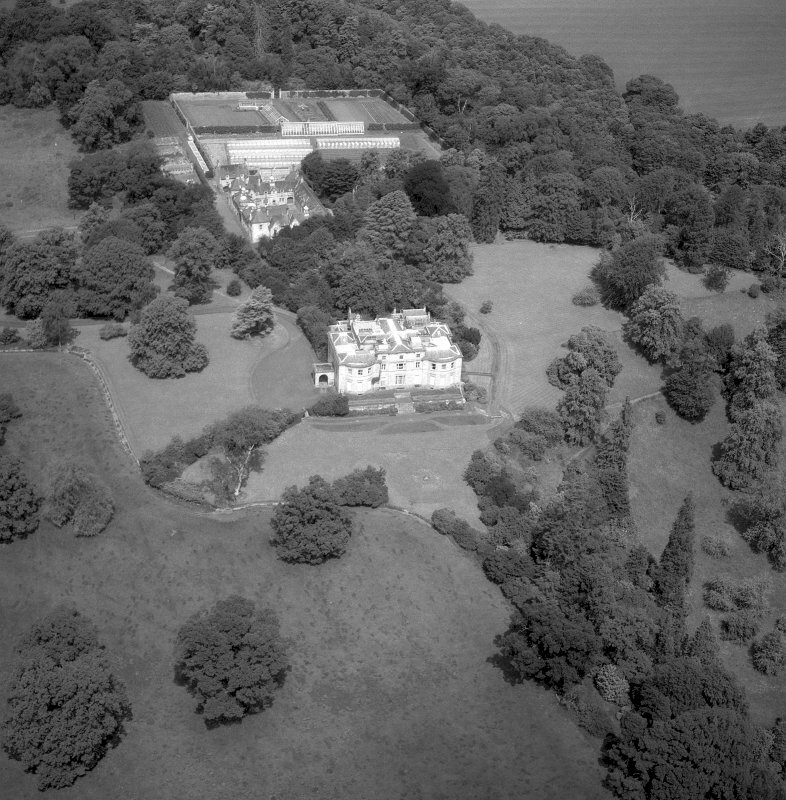 Newton Don: The present classical house was built in 1817-1818 by Sir Alexander Don; it may have been begun or planned by his father Sir Alexander who owned the estate from 1776 to 1815. 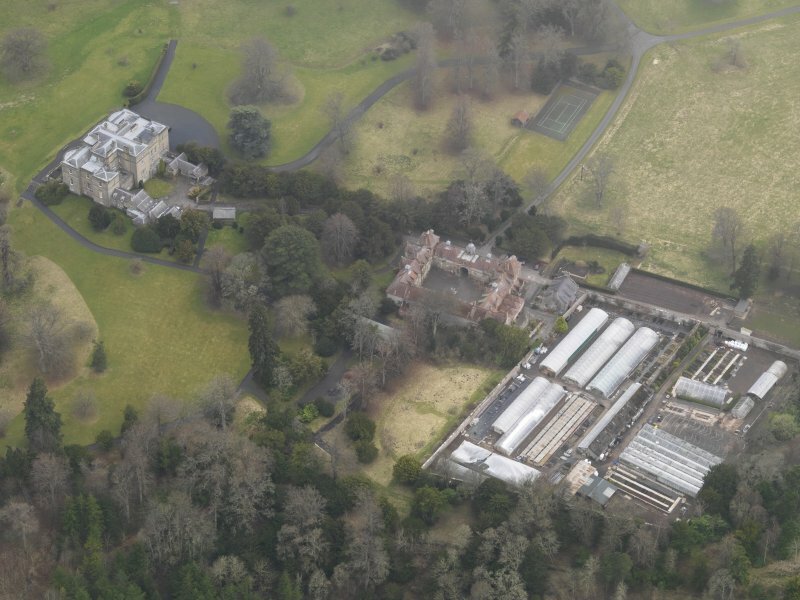 Architect: Sir Robert Smirke. 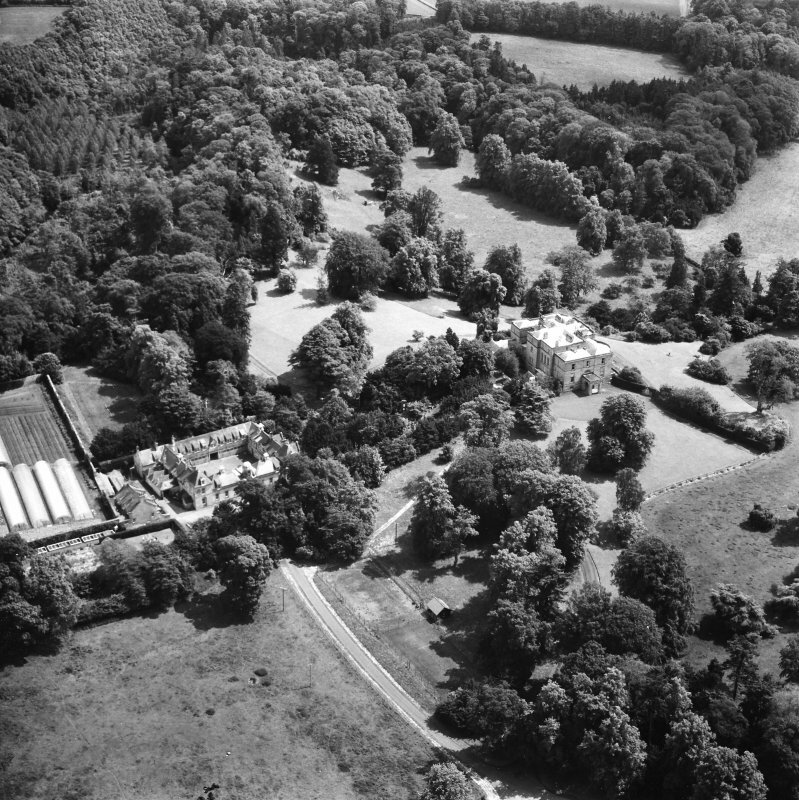 SDD Buildings of Architectural or Historical Interest undated, No.61/5. 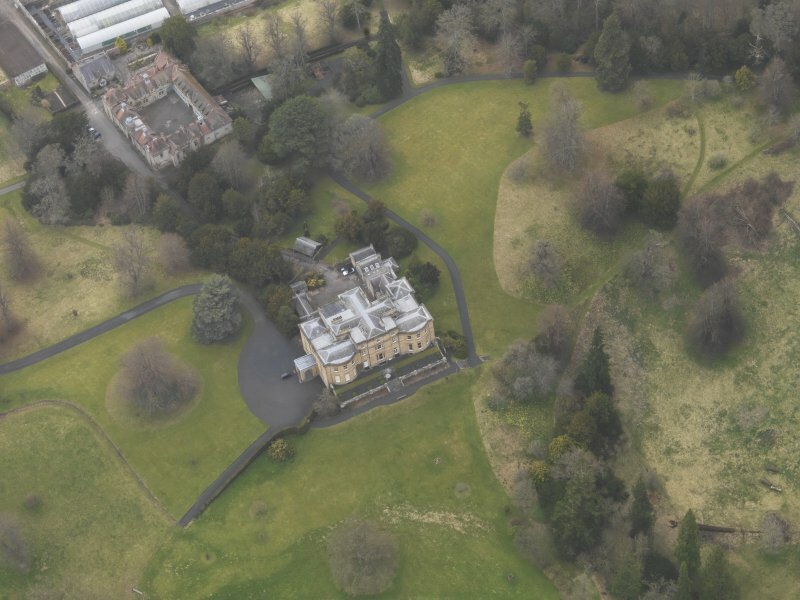 included in printed details for forthcoming sale. 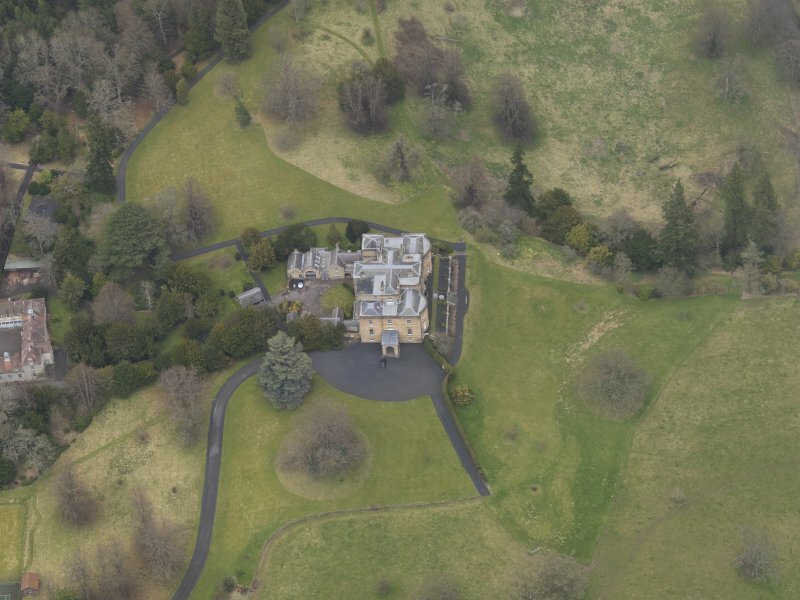 Newton Don house is set within grounds to the NNW of Kelso with the Eden Water at the N and E sides. 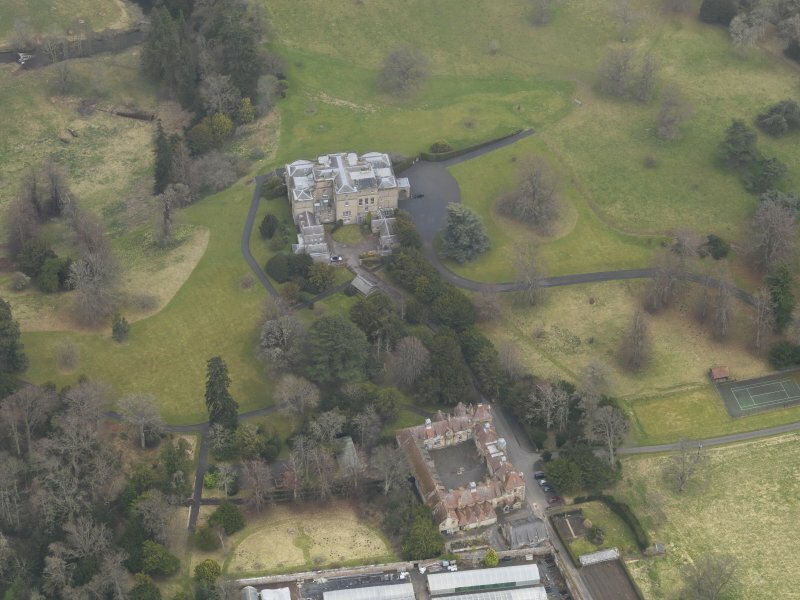 The Architect was Sir Robert Smirke who had the house constructed in the classical style. 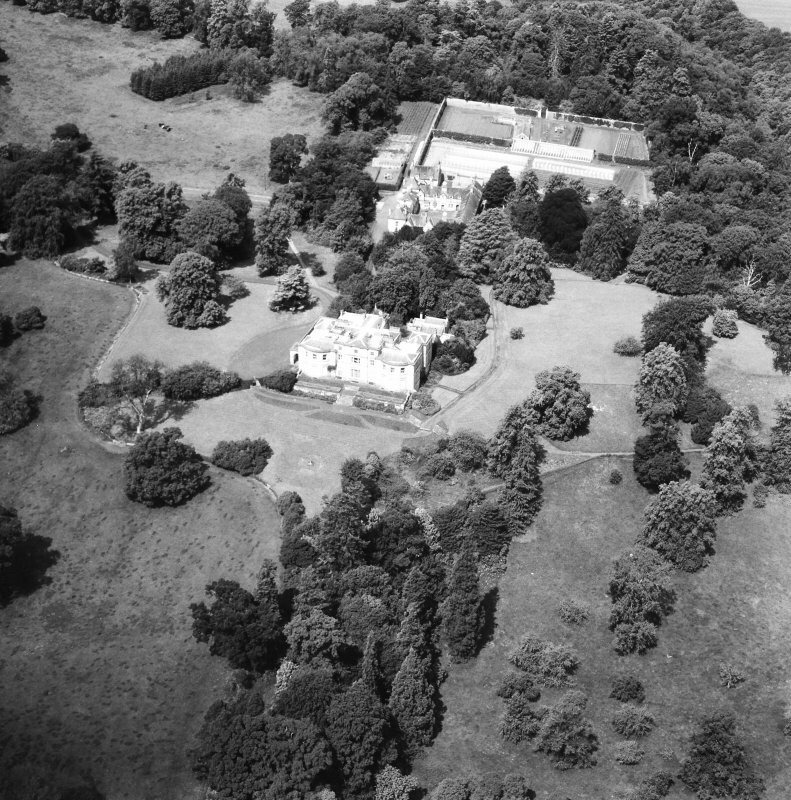 Built and completed between 1817-1818 by Sir Alexander Don; but possibly begun or planned by his father the previous owner of the estate. 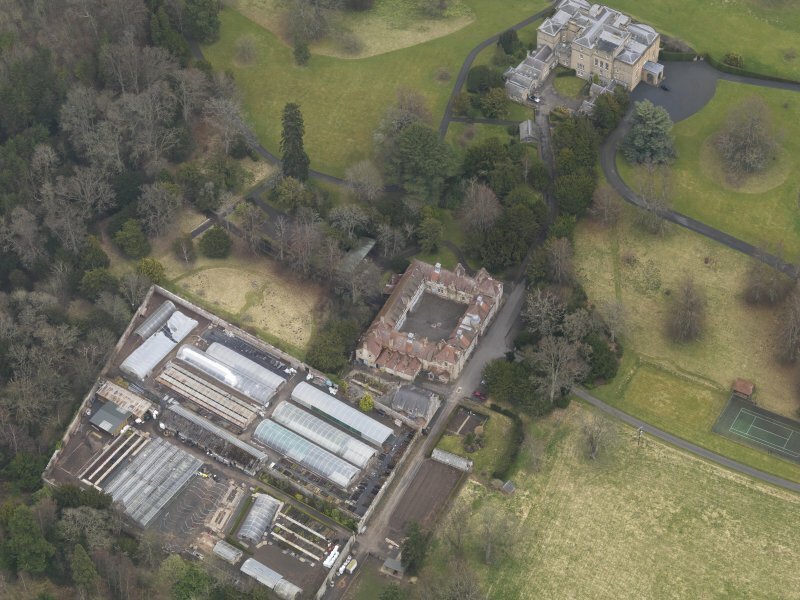 Stables block to the NW with a walled garden with nusery garden within further to the NW (See NT73NW 16.03 and 16.05).